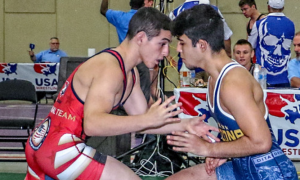 The US draws are in for Day 1 of the 2018 Junior Greco-Roman World Championships, which begin bright and early stateside tomorrow morning. Remember — this is a two-day format. 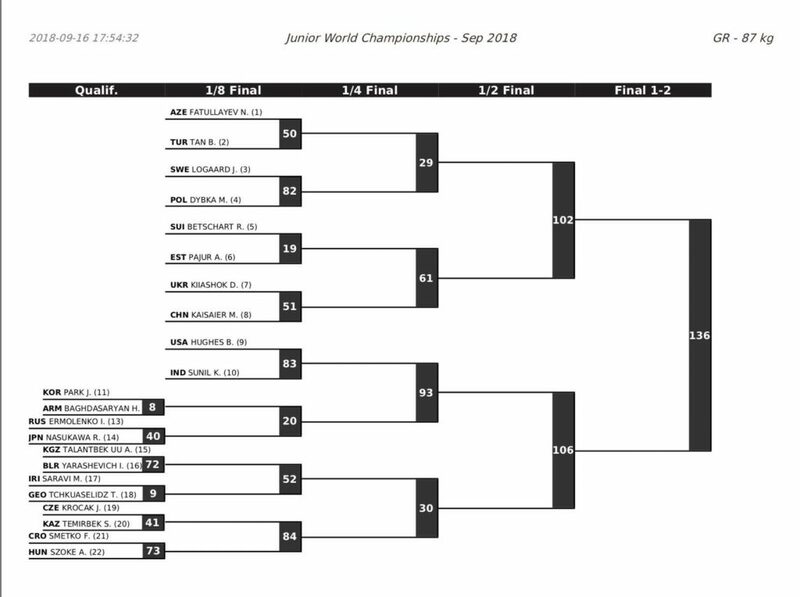 The finals and repechage rounds for the five weight classes that start on Monday will be contested on Tuesday. 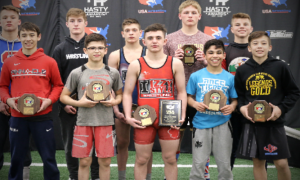 Likewise, the five weight classes that kick off their qualification rounds on Tuesday will see their finals and medal matches take place on Wednesday. Two of the three Wisconsin-born athletes on the American squad will be battling it out in the qualification round against solid opposition. 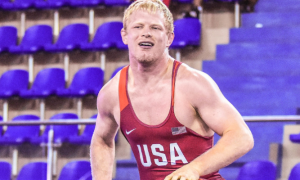 At 55 kilograms, Brady Koontz (UA-tOSU) faces off with 2018 U23 European Championships bronze medalist Florin Tita (ROU). 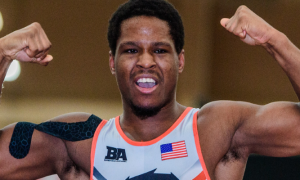 Alston Nutter (63 kg, NMU/OTS) looks to have himself the kind of first-round fight that’s right up his alley, as he’ll take on 2016 Cadet World bronze Erbol Bakirov (KGZ). 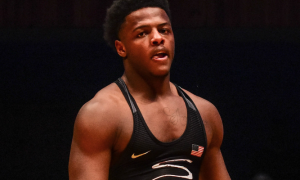 Reigning Junior World Champion Kamal Bey (77 kg, Sunkist) doesn’t have a cookie to start out with, either. 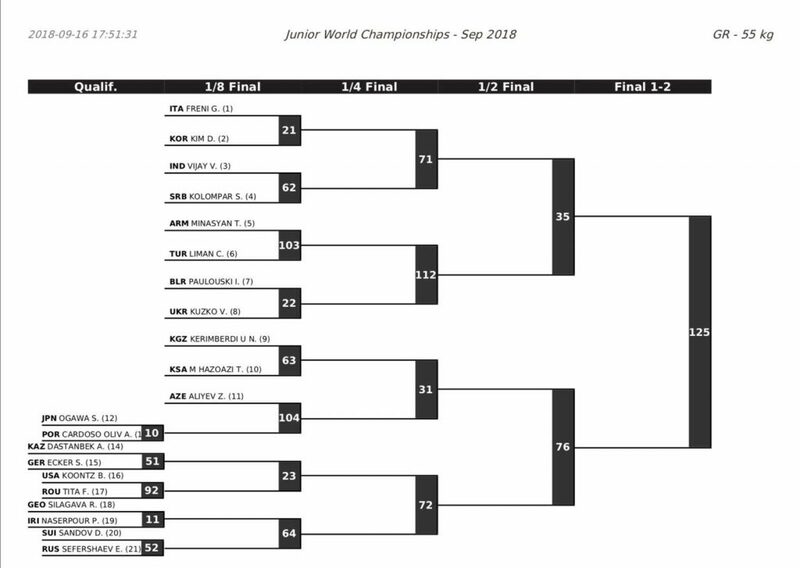 In his qualification-round bout, Bey will stand opposite Georgia’s Beka Guruli, who was third in the World as a Cadet last year but has come on strong up an age group in 2018, taking third at the Junior Euros. 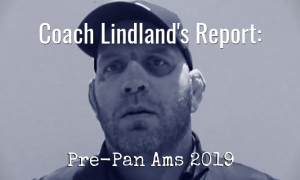 One of Team USA’s lesser-experienced but most intense competitors is Barrett Hughes (87 kg, CRTC), and there is a lot of curiosity abound regarding what he might be able to accomplish this week. 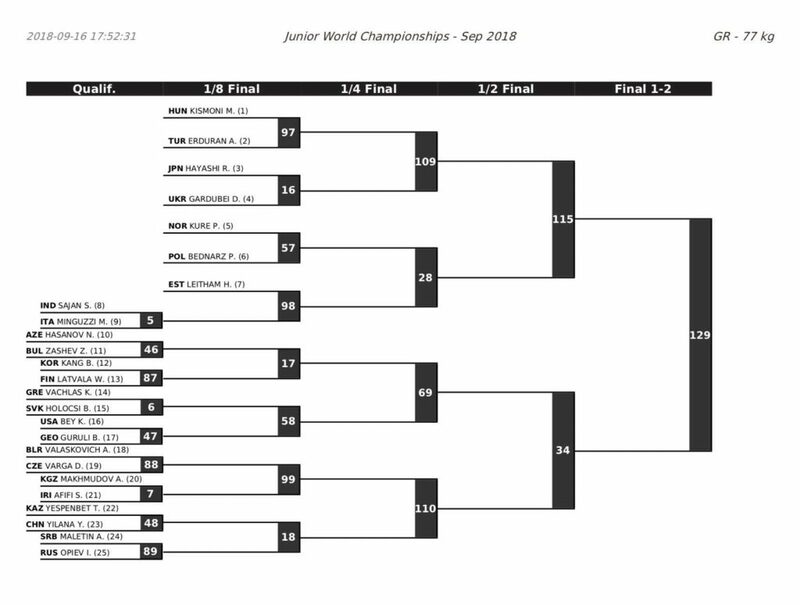 Hughes’s first match is in the round-of-16, where he will pair up with Kumar Sunil of India, who took ninth at the Junior Worlds in 2017. 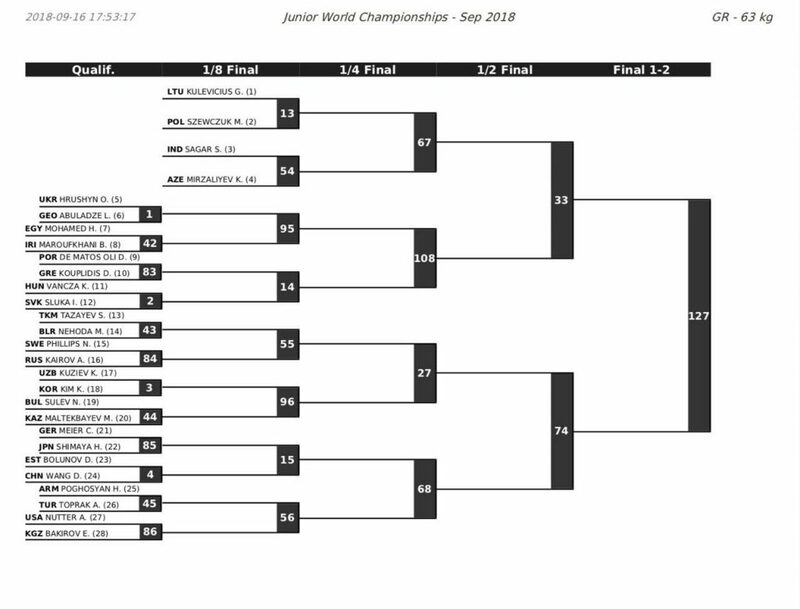 2017 Cadet World Champion Cohlton Schultz (130 kg, NYAC), like Hughes, also starts off in the round-of-16 and appears to have a potentially significant assignment. According to the bracket, Schultz is (apparently?) pitted against Lingzhe Meng (CHN), who was a runner-up at this year’s Hungarian Grand Prix before placing seventh at the Asian Indoor Games, two Senior-level events. Complete bracket images are found below. 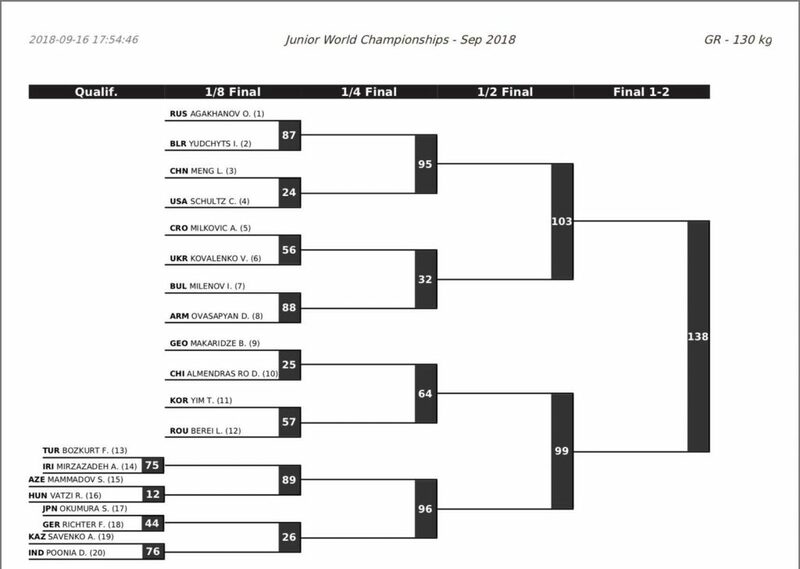 Day 1 of the 2018 Junior Greco-World Championships begins at 10:30 am local time (4:30 am EST) and can be viewed live in the US on Trackwrestling.com.